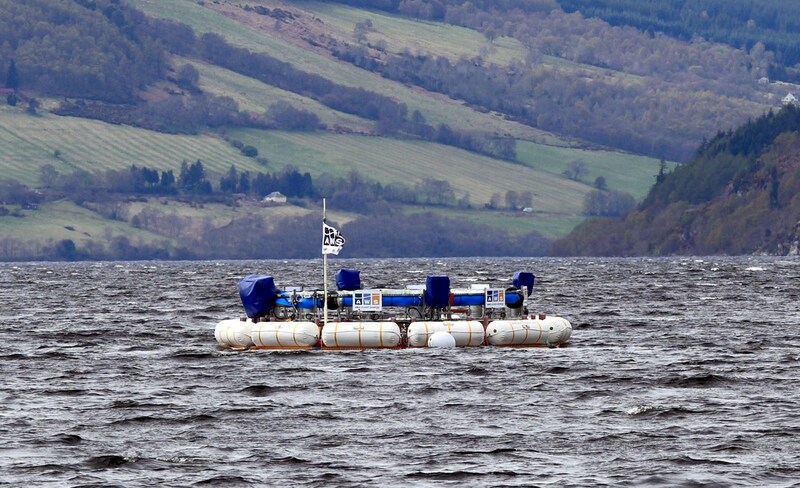 Just last week in Scotland the Oyster from Aquamarine Power passed a crucial test and is no longer in locked-down position on the seabed. 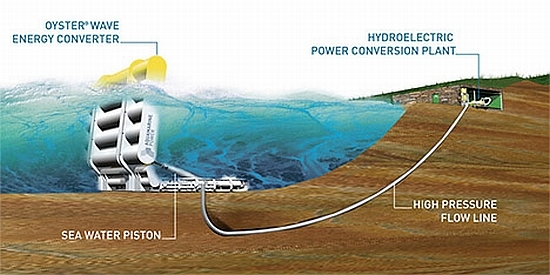 Now the Oyster moves back and forth in the ocean waves, pumping high-pressure water to its onshore hydro-electric turbine as it readies for full-commissioning. 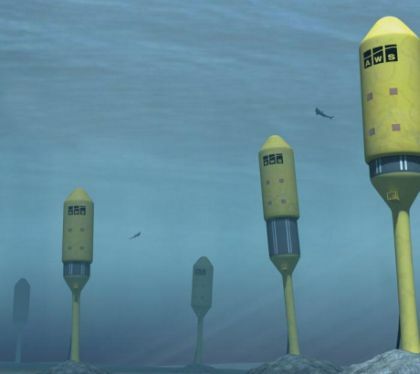 The Oyster captures energy found in near-shore waves up to depths of 10 to 12 metres and consists of a hinged flap connected to the seabed at around 10m depth. 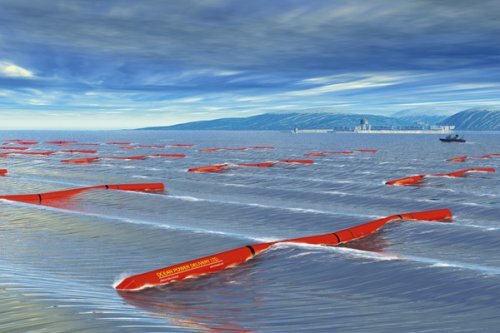 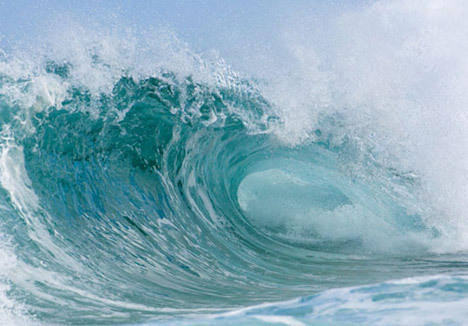 Each passing wave moves the flap which drives a hydraulic piston to deliver high-pressure water to an onshore turbine which generates electricity. 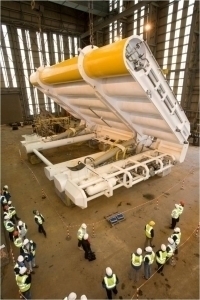 The Oyster now goes through commissioning in advance of grid connection as the official switch on by Scotland’s First Minister Alex Salmond is set for on November 20, 2009.